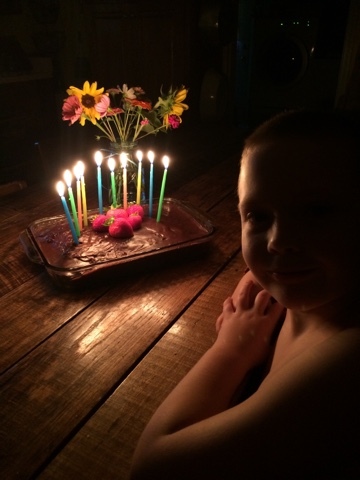 You know that time is flying by when you tell their birth story each year and this time you say, "Well, TEN years ago at this time I was going to the doctor's office to get a check on you..."
We try to make them into whatever the birthday'er wants. 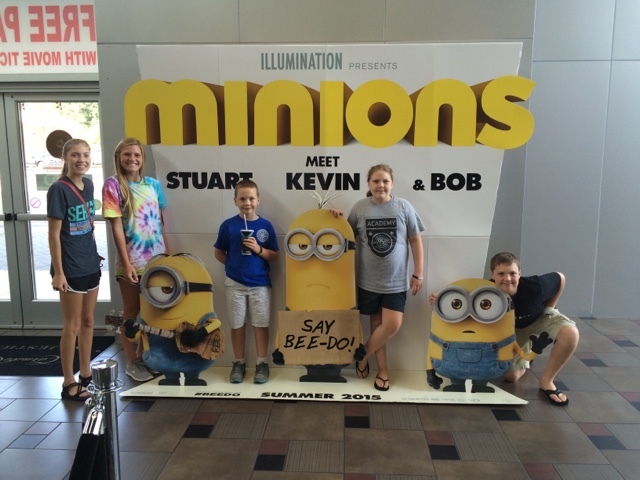 His choice was going to see the Minions, which we did on Sunday. We went to the matinee. Then yesterday, he got to do some of his favorite things and we ended the day with his choice of a birthday meal and birthday dessert. 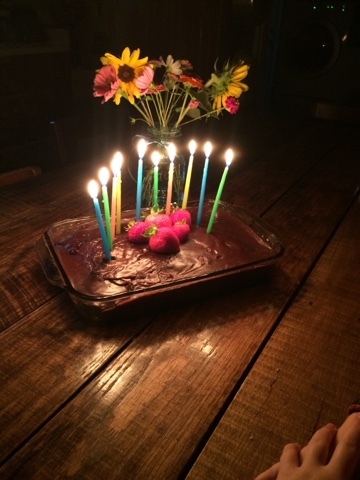 It was a delightful day and I am so thankful to get to spend these days with my family, making them feel special. Happy Birthday, Abram, Moma loves you!